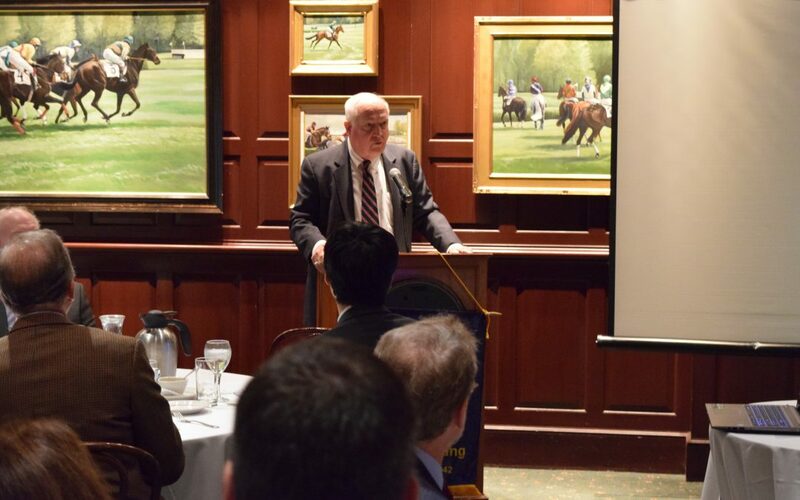 ARTBA President & CEO Pete Ruane Nov. 16 addressed the D.C.-based “Road Gang” about the importance of finding a permanent revenue solution for the Highway Trust Fund. His comments came the same day that the U.S. House passed a tax reform bill that does not include such a remedy, which Ruane blasted in a separate statement to the media. Industry leaders and workers can help the cause by doing a better job of pointing out to Congress and the public outstanding examples of wise transportation investment. He also noted how state legislatures and local voters have supported infrastructure funding. Earlier this month, for example, voters in 20 states passed 82 percent of more than 200 local transportation investment ballot measures. “It is encouraging what is going on in the states, but getting the people on Capitol Hill to believe it is still challenging,” Ruane said. He reminded the group that the federal government provides more than half of the annual highway and bridge capital investments made by state transportation departments.